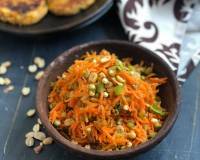 Carrot, Cauliflower, Peas Sabzi Recipe is a simple stir fry dry sabzi recipe made without the typical Indian spice powders. 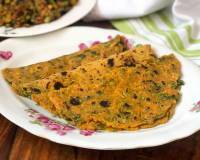 Flavoured with whole spices, ajwain and just salt this dish is fresh in taste and can be served as a side with dal and roti. 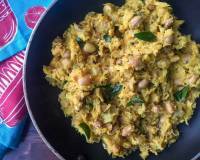 Carrot, Cauliflower, Peas Sabzi Recipe is made in a minimalist way and yet is full of flavour and tastes delicious. Carrots, cauliflower and peas are sauteed and simmer in a oil flavoured with ajwain, an whole spices like pepper, bay leaves and cardamon. 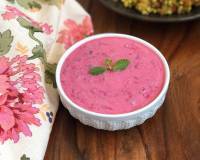 It's a simple and saatvik recipe that brings in the flavours of the vegetables into the palate. 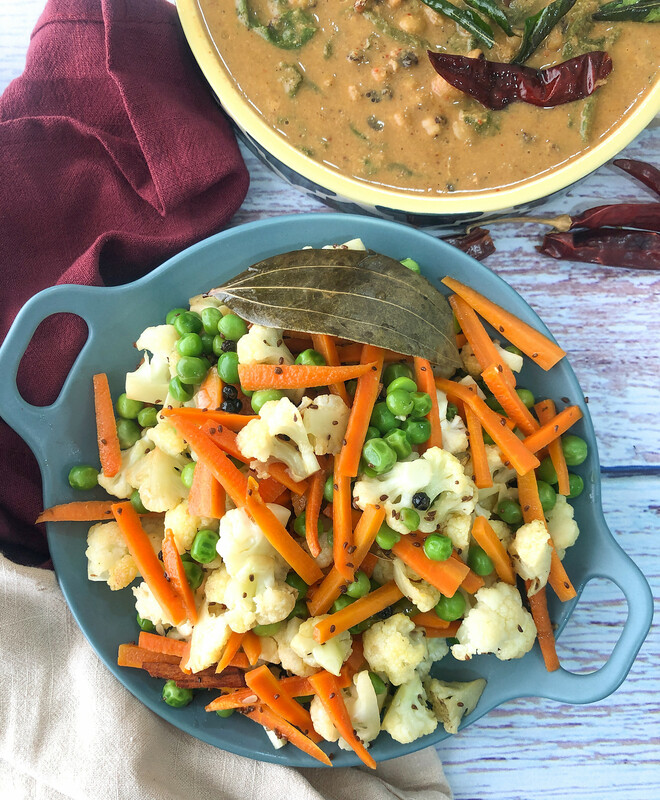 Serve this delicately flavoured Carrot, Cauliflower, Peas Sabzi Recipe with Lahsuni Palak Dal, Ragi Wheat Phulka and Methi Raita Flavoured With Garlic for a nice comforting diabetic meal. To begin making Carrot, Cauliflower, Peas Sabzi Recipe first Prep all the required ingredients. Heat mustard oil in a pan and once the oil is hot add in all the whole spices, ajwain seeds, bay leaves, cinnamon sticks, cardamom pods and saute till the whole spices release a nice aroma. Add in the green chillies and the carrots, saute for a minute and then add the cauliflower florets. Saute for a minute. Season with salt and sprinkle some water in the pan and stir. Cover and cook till the Gajar and Gobi are almost cooked. 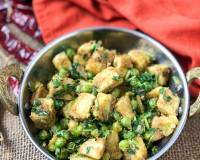 Once the Gajar and Gobi are cooked through, add in the steamed green peas. 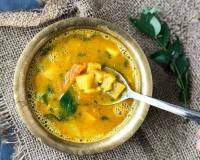 Stir and cover and cook until all the flavours are incorporated into the Gajar Gobi Matar Sabzi. 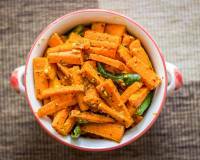 Once done, check the taste of the Gajar Gobi Matar Sabzi and adjust salt accordingly. 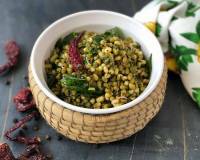 Serve this delicately flavoured Gajar Gobi Matar Sabzi Recipe with Lahsuni Palak Dal, Ragi Wheat Phulka and Methi Raita Flavoured With Garlic for a nice comforting diabetic meal.